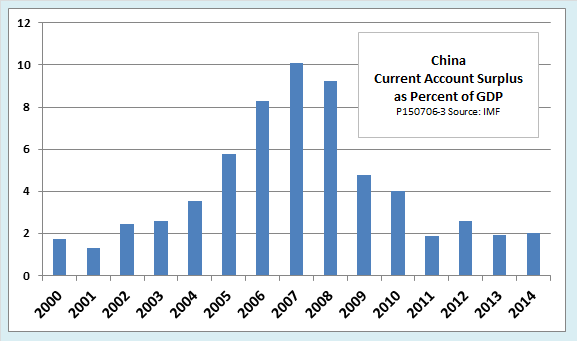 Ed Dolan's Econ Blog: Trump Blames US Export Woes on Chinese Currency Manipulation. Really? Trump Blames US Export Woes on Chinese Currency Manipulation. Really? Last week Jake Tapper, host of CNN's "State of the Union," interviewed Trump on a wide range of issues. It wasn’t long before the conversation turned to trade, jobs, and China. “You have to take the jobs back from China” before you can even begin to solve problems like the national debt and healthcare, Trump asserted.